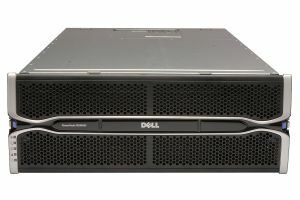 The Dell PowerVault MD3660f 4U array is an 8Gb Fibre Channel high density enclosure supporting 60 x 3.5" SAS/Near-line SAS/SSD drives. The MD3660f can be expanded to a base of 180 drives using the MD3060e and supports up to 64 servers. As with all our used Dell SANs, our refurbished MD3660f can be configured to your specific requirements.